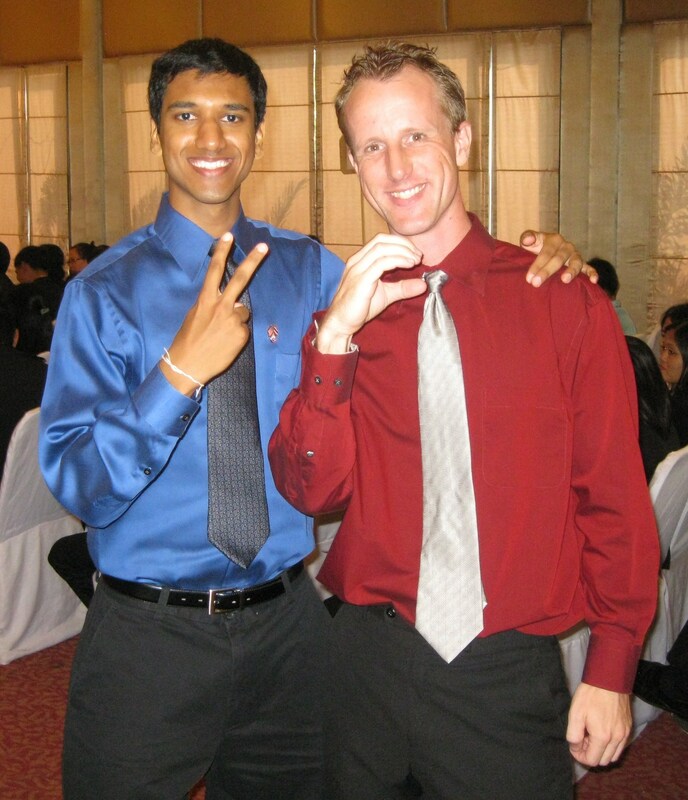 As of Monday, March 21, 2011, I am an official Peace Corps volunteer. I and 64 others were sworn in by the U.S. Ambassador to Thailand. My 10 weeks of training are done and I have mixed emotions about that. I’m happy to be done with training, but a bit sad to be leaving my 64 new friends. Peace Corps doesn’t allow us to travel overnight until May 1, so most of us will be settling to communicate through phone calls, e-mails and Facebook. It’s a good rule to make sure we’re getting to know our communities. I’ve only been here in the amphur of Sangka for a short time, but I’m very excited about it. I will be with a host family for the first month and they are wonderful people. It’s a couple about the same age as my parents who live alone. I’m a three-minute bike ride from the SAO (sub-district administration office) where I work. Once again, it’s been so long since I’ve blogged, it’s difficult to summarize since the last time. The last week or so of training was very enjoyable. Language training was finished, so there were a lot of sessions with the entire group, giving everyone a chance to hang out before we’re peppered throughout Thailand. I have been impressed with how well 65 individuals are able to get along and work together. Yes, there are issues and not everyone is buddy-buddy with everyone, but for the most part, it’s been a tremendous showing of teamwork. But that’s all over now. Training is done and we’re on our own. I then told some inside jokes only my family would understand and concluded by telling them they couldn’t have made me feel more at home and I will miss them all. 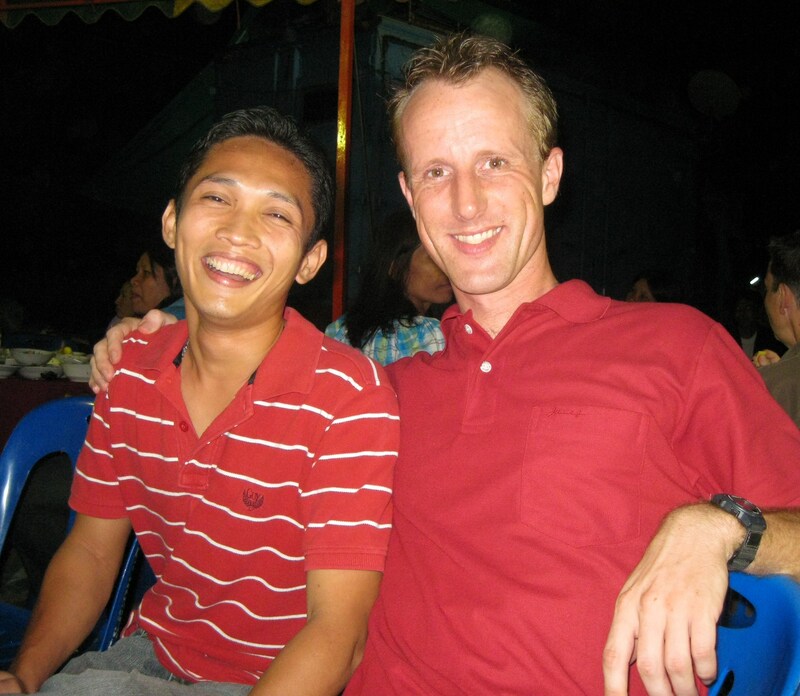 My host brother Ti and I. Ti will be missed. In my speech I said, "Ti, you're a good man and a good friend." The swearing-in ceremony was great. I have to admit, I got a little choked up when we were watching a video with John F. Kennedy speaking of how important the Peace Corps will be as well as when we held up our right hands and swore to defend the constitution of the United States. 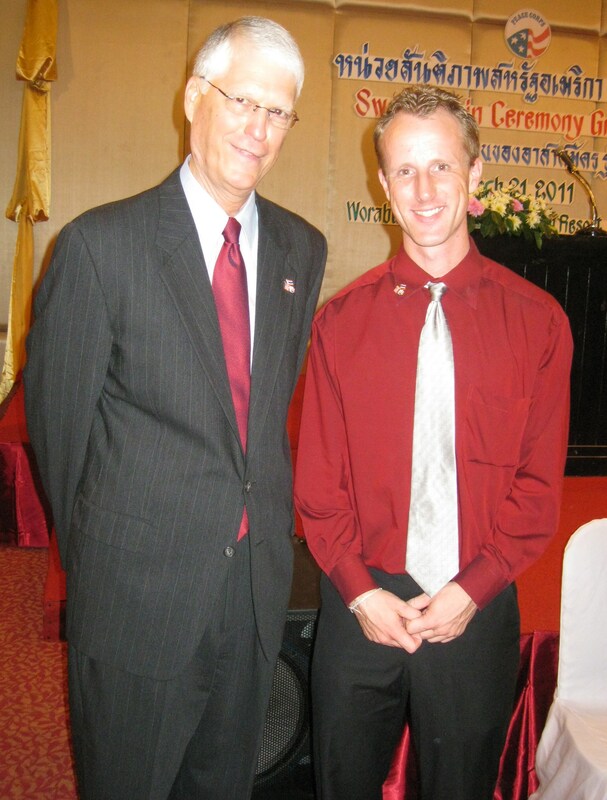 Peace Corps Thailand director John Williams and I shortly after the swearing-in ceremony. Now that I’m done with training, I should be able to get online more frequently to write about my experiences. Perhaps I’ll slowly tell some old training stories since most of them weren’t written down. I recently realized that I probably have double the friends now that I did three months ago. I suppose some people are wondering what I’ll be doing as a community-based organizational developer for the Peace Corps. The short answer is: not sure yet. The long answer is: I’m working on it. I’ve talked with two of the SAO workers in Thepraksa to address what’s expected from one another for the next two years. My job is based on the communities needs. My plan is to get to know my neighbors over the next few months and see what they have to say. What I do know is that people are interested in cross-cultural information. They want to learn new ideas about the culture of the United States while teaching me about Thailand. There’s a large demand to learn English and that’s something I’m interested in teaching. There are also some general health issues and I might be able to help shed some light on healthy habits from the states. There is also some occupational groups who are looking for a new perspective on business. No one’s looking for me to save the world, but to help and facilitate some new ideas. A large part of my job is to be a well-respected member of the community and be a good representative of the United States of America. I can do that. My friend Dev and I shortly after the swearing-in ceremony. Get it?